When I am not writing my own blog posts, I love to read other blogs. I follow blogs on cooking, homeschooling, crafting, homemaking, motherhood and natural living, but I have to say my favorite blogs are those that are of a spiritual nature but share everyday goings on with a mixture of tips and inspiration. And you know I love a blog with great pics! Instead of writing about my blog today I wanted to share with you some of the blogs I follow that really inspire and spur me on to look heavenward while at the same time making the most with what God has given me here on earth. These women have opened up their homes and hearts to me and many others with transparency and humility. Giving glory to God through their words and their giftings. As I have shared before; by reading these blogs I felt led to start my own. I love how I can read a post that speaks directly to my heart and what I am going through in that moment. God is so good to remind me of his grace and truth when I am floundering and discouraged. I am so thankful for this community of faith filled women that continue to encourage me to seek after Christ with all my heart and make him known not only at home but outside of it. Mandy's blog was one of the first blogs that I came across and started following. I loved how she shares snippets of her life with her 6 children with such genuineness and joy. 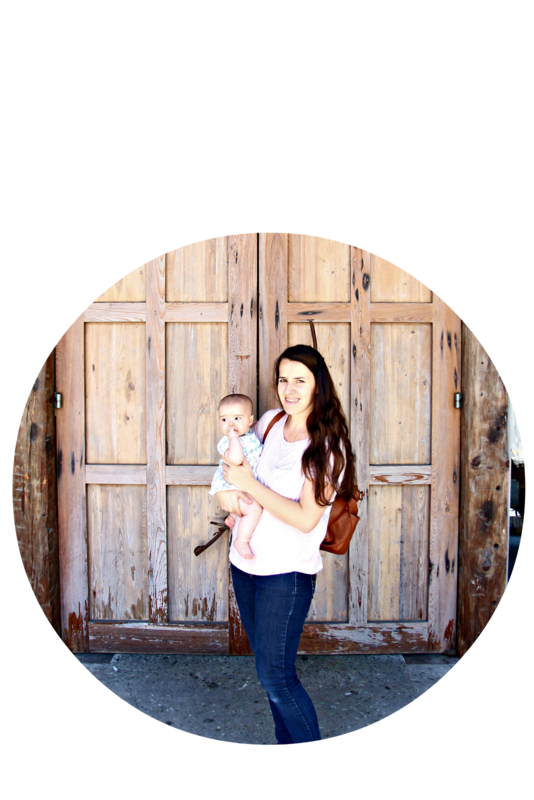 She also incorporates her love for thrifting, working out, making goals, homemaking, projects and of course her passion for the gospel and encouraging women and mamas. I am not sure how I came across Ruth's blog but I am SO glad that I did! Not only is she the mother of six boys, but she is a talented artist and entrepreneur. She truly shares her heart for motherhood through the lens of the gospel with such grace and dignity. I am always uplifted and inspired as I read her posts. I love following her on instagram. Her pictures, her words and her art ever point to Christ and finding hope, meaning and strength in him. She creates beautifully adorned pictures of scripture to put in your home to continually remind you of God's grace and truth. Joy is a mother of 5 and a missionary's wife in Uganda. I first heard her speak on a video, where she was speaking at a conference here in the US. I was deeply impacted. She spoke such truth with such vulnerability and authority. It was just what my heart needed to hear at that time. Since then I have followed her blog and have continued to be edified and by her heart for mamas and seeking Christ and glorifying him in the everyday. I love how she not only shares her faith but her desire to be faithful in the daily normal routines. Taking care of not only her spiritual needs but physical and outward as well. She is truly a woman of faith that is deeply rooted in the word and not afraid to share her fears and failures as she holds on to the hope and promises of God. I recently came across Gretchen's beautiful and inspiring feed on instagram. Every time I have read one of her posts it has spoken directly to me and makes me want to draw ever closer to my Savior. I often get discouraged about blogging. It can be so easy to get caught up in promoting your blog and trying to keep up. I absolutely love how every one of her posts speaks truth and life. I love how she uses the platform God has given her for his purposes and brings glory to him, with the talents God has given her. Not only does she write edifying posts on her blog, but she also encourages women to find intimacy with Christ through Bible journaling and studies. She has created beautiful journals that she and her team sell at her shop. She is recently a new mom and has already much to share about how God is using motherhood to give her new perspective and heart for the world. I read a posts of Kelly's earlier this year that spoke volumes to my heart, right when I needed to hear it! Her story is one of hope and beauty and pain. She uses all that her life is and was to give hope to those hurting and who need to know they are valued and loved. She simply shares her heart and her struggles in such a candid and fluent way. I of course was also drawn in by her amazing skills with a camera. I am a sucker for beauty. I have been blessed to meet so many lovely women in the blogging community from around the world! Sarah is a precious woman from New Zealand who is after God's heart for her life, family and home. I am always drawn to her thought provoking posts that always bring me back to what this life is all about...living for his purposes alone. Not looking to the world, but keeping our eyes on him and being obedient to what he has called us to do for our families. Sarah humbly shares about her struggles and joys as a mother, wife, homemaker and daughter of God. The tagline for Sara's blog is "Joy in the midst of waiting. Beauty from ashes. Seeing Jesus' thread through every frame of life. Her and her husband have gone through the pain of infertility to becoming parents through adoption to 4 beautiful children and now by a miracle 1 more. She beautifully writes about turning her hard circumstances into opportunities for adoration. God has used each of these unique women to speak words of life and truth to my spirit and soul. They have shown me that it is okay to be a vessel for God to use, without losing your integrity. That it's okay to embrace the gifts that he has given you to be a voice of truth and life; flawed though they might be. 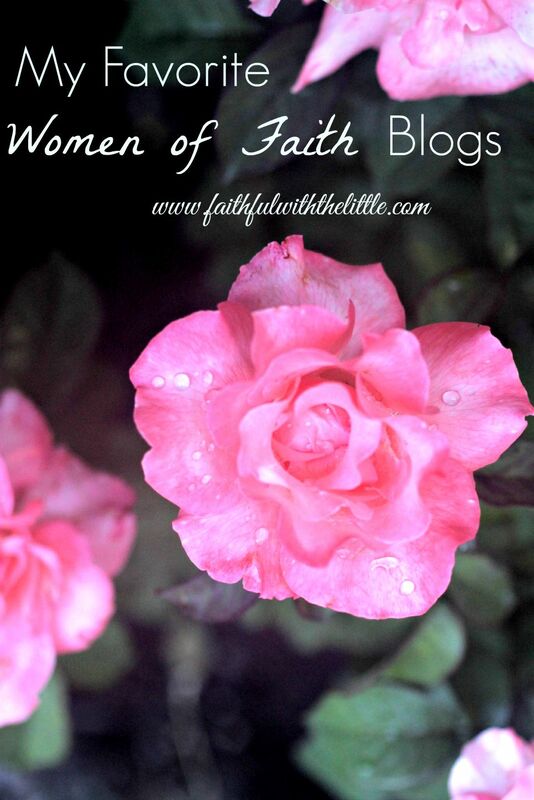 Of course there are many other sweet faith filled blogs that I love but I would not be able to put them all in one post. I hope you can make time to check out these lovely ladies and be encouraged to keep fighting, keep seeking, keep worshipping and keep being faithful as you go about your day as a daughter of God, wife, mother, sister, neighbor and friend. Linking up with some of these link ups. Thanks for sharing. These will be great for fully exploring! I have recently been enjoying the blogs Raising Homemakers, Life of Faith, the Proverbial Homemaker, My Joy-Filled Life, and Maryandering Creatively! Ooooo....I love those blogs also! We are so blessed to have so many great resources and Godly encouragement! Thanks Rebekah for sharing this amazing bogs. I enjoy reading Life lived beautifully, Biblical homemaking, Time warp Wife and the list could go on and on. Thanks for sharing this list Rebekah! I will definitely have to check them out! I am a big fan of these blogs: Jennifer at A Divine Encounter, Deb at Counting My Blessings, and big fan of Crystal Storm at Intentionally Pursuing. She has welcomed my participation and she definitely has a heart for God. I am so encouraged every time I come across believers that share their faith in the midst of their posts. Thanks again for sharing and I love the title of your blog. May God continue to bless you and yours! Oh Rebekah, your words made my day! I love coming to yours so much, I have a lot to learn! Great post, Rebekah! I too follow Gracelaced and several of the blogs that others have mentioned. Some of my other favorite blogs include Faith Spilling Over and a blog I recently discovered, Gracious Insights (which is how I found you, via #EncourageMeLinkup). I also really enjoy reading posts by Katie Reid, who is a contributor to Purposeful Faith. What a lovely and well-informed list, Rebekah! In the sea of wonderful Christian blogging women out there, it's helpful to have "light houses" like your compilation to point the way to specific options. Thank you! Stopping by from A Little R&R Wednesday! Thanks Elisabeth! There are SO many! Hope you get a chance to check them out! i am glad to have this list. thank you for sharing it. Honestly, I have been doing some prowling about to find a few faith-filled blogs. Most of the women I stumble across seem to be working their own agendas. They are always posting a "lesson" or some kind of a bible study with advertisements. I don't seem to stumble across many Christian women reaching out to one another. I find a lot of these bloggers just sort of parallel playing if you will. Thanks for this list! I haven't heard of most of these blogs, amazingly! Thanks for linking up with Grace & Truth this week. :) God bless. Yes, I am blessed everyday by reading the wise words of other bloggers! Thanks for your list as there were several women on it of whom I have never heard!